Pay attention to warning signs that indicate your Concord home needs roof repairs. Roof repair can be expensive. This is especially true if it is put off until what once would have been small repairs turn into very extensive repairs. Occasionally paying for small roof repairs will cost a lot less than needing to pay for damage to your home because of a neglected roof. 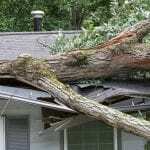 It’s important for you to learn the early warning signs of a damaged roof, so you know when to call in professionals. Unfortunately, many homeowners wait until some of the more serious signs present themselves before recognizing that they need to get their roof fixed. You do not want to have water leaking into your home before calling for help with repairs. Once you introduce moisture into your home, it can be a breeding ground for mold and mildew, which can lead to a lot of damage to your home. Pay attention to warning signs that indicate your Concord, North Carolina home needs roof repairs. If you have any concerns, do not hesitate to call us at JM Reynolds Builders, LLC. We have been in this business for decades and know how to efficiently and effectively help solve your roofing problems. We also provide free roofing estimates, so you can have peace of mind about your roof. 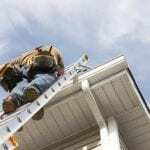 At JM Reynolds Builders, LLC, we offer roof repair services in Concord, Kannapolis, Charlotte, Salisbury, Mooresville, Huntersville, Granite, Quarry, Davidson, and Paw Creek, North Carolina.